Since my last Idol Thoughts post, AKS announced that AKB would be getting a Team 8. This announcement has (understandably) gotten a lot of interest and buzz, because a lot of what Team 8 is going to be is very unprecedented. 47 Girls in an audition, one from each prefecture? This is going to be an odd generation. “Idols who come to meet you?” It’ll be interesting to see how this plays out (I doubt one of them will fly to Minnesota to meet me, though). So understandably, these are the things people are talking about. However, the one thing that I think is very interesting and perhaps hasn’t been talked about enough is that Team 8 is officially sponsored by Toyota. Idols aren’t strangers to commercial endorsements. Last week I wrote about how Morning Musume getting a major CM deal with au was a major sign that things were going well for MM. And I don’t think it’s necessarily a bad thing to do commercial endorsements. They get public awareness up for your idol/group and get some new funding. Corporate sponsorship CAN do some good things. I’ve been watching the show Chuck lately, which was in danger of cancellation for quite a bit of its run. However, fans reached out to one of the show’s major sponsors, Subway, and made a concerted effort to show that they were spending money at Subway. Some of the endorsements were slightly obvious, but it allowed the show to be on the air for longer than it would have been. However, I have some reservations for the Team 8 announcement. This is the first time a company has sponsored an audition for AKB (or really for any idol group that I can think of). I don’t imagine that AKB is strapped for cash; they have a lot of members, but idols don’t get paid THAT well, at least as well as Western celebrities do. But this level of corporate endorsement has me a bit nervous. Toyota is from Aichi prefecture; does this mean that Aichi is the prefecture that will produce the next AKB frontgirl? Even if Toyota doesn’t say “the girl from Aichi should be the center,” I’d imagine there’s some level of pressure to have her be up front. At the most innocuous this will be just something they say during press releases and put on the website, that this is being sponsored by Toyota. However, I just wonder if this is going to affect either the members that are chosen or how those members act. Idols aren’t some bastion of artistic integrity; I know that idol groups are formed by companies. However, will this affect the creative choices that do get made. I’m not saying it will, but I am saying that I am a bit hesitant on this. ” Suzukake no ki no michi de “Kimi no hohoemi wo yume ni miru” to itte shimattara bokutachi no kankei wa dou kawatte shimau no ka, boku nari ni nan nichi ka kangaeta ue de no yaya kihazukashii ketsuron no you na mono” is the title of the new AKB48 single. Yeah. So with that out of the way, let’s review the new PVs that have come out! 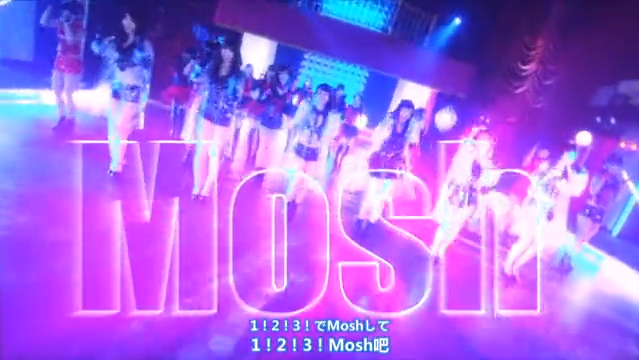 I’ll be reviewing the main single PV as well as Mosh & Dive. Next week I’ll look at the group exclusive PVs. 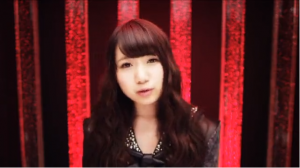 Suzukake no ki no michi de…..
Song: You know, for being a giant gimmick, I enjoy the long title. I think the sentiment in the title is nice, and while it’s not necessary it’s a pretty title. I’ve been actively trying to memorize it, so I can rattle it off at people in the future for fun. The title is pretty much the most memorable thing about the song, though. The winter/Janken singles have always been AKB’s least interesting, song-wise, so this isn’t too much of a surprise. However, in a year that started with So Long and Sayonara Crawl, Suzukake stands as one of the more fun songs of the year, if a bit unimpressive. 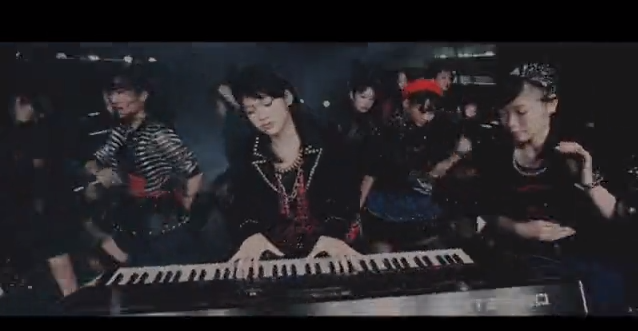 Of all the songs in AKB’s main single output, this actually reminds me of some of the more rock-inspired stuff. Probably the closest comparisons come to Give Me Five, with a bit of 10nen Zakura. The “suki!” shouts are also straight from Oogoe Diamond. I like this type of song, though; the energetic guitar-based slightly rock-inspired AKB song. Give Me Five isn’t my all-time favorite AKB song, but it’s fun to listen to. I imagine that’s how this song will go down, as well. People will remember the long-title, but when they listen to it they’ll remember that it’s not a bad song at all. PV Oh here we go, another long drama version. Honestly, I don’t think this adds a lot to most PVs. It’s an easy thing to advertise; “this comes with a 22-minute PV” but it doesn’t necessarily add much meaning to the PV. Basically the plot is that in 2003, the members buried a time capsule as students, and this is their reunion 10 years later (which is honestly the plot of the song 10nen Zakura) after they’ve gone separate ways and started new lives. Going on a bit of a rant here, but long drama versions of PVs for AKB have stopped being interesting or something that’s exciting. 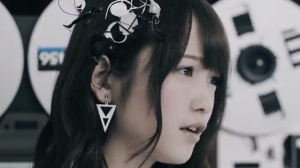 No one’s surprised anymore that a single song has a 22 minute PV. Instead, it’s become a crutch for some pretty lazy PV making. You might be wondering how a 22 minute PV, which surely took a lot of time to make, could be considered lazy. 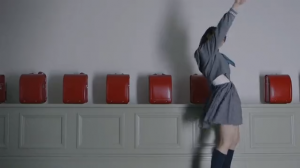 Well, what I ask you, is what about this drama PV in particular couldn’t be told within the context of the song, or, at most, with a minute or two of prologue/epilogue? The story isn’t particularly complicated, and it doesn’t even focus on all the members. Instead, they drag out the whole thing across the PV, which lends itself to a not particularly interesting PV in general. The short version of the PV shows the issues this has. The short version has essentially three types of shots that comprise the majority of the PV. There are a few past flashbacks and clips of them just standing around, but other than that not much happens. Which isn’t a terrible thing; the first Janken senbatsu PV, Chance no Junban, was a fairly straightforward PV and I think it’s just fine. But when there’s been so much filmed, the fact that none of it gets into this short PV is irritating. They also threw in some hints to the overall story, but nothing that gives it a context. None of the elements that went into this PV are bad. The dance shot looks fine (I quite like when the members are in silhouette and whenever the background is multicolored), the close-ups look fine. The story is even moving, focusing on Oya Shizuka a lot more than I thought it would. But it just doesn’t have to be in this 22 minute long PV. Also, you’d think that for a long PV it would focus more on more members. The majority of the screentime is on Jurina, which is understandable. 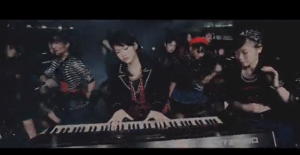 Kitahara Rie, Oya Shizuka, and Oba Mina get some screentime. Kameida Emika gets a speaking part, and Hirata Rina gets a speaking part in English (which is the most delightful part of the PV). But other than that, the members who aren’t immediately popular and recognizable don’t get that much time. I mean, Emika and Hillary don’t get THAT much screentime, and they ranked 2nd and 3rd in the tournament! Usually I don’t rant about the popularity structure in AKB48; for the most part, it generally works. However, the Janken tournament is about giving any member a chance at making it into the AKB48 senbatsu (despite accusations of it being rigged), and this is a bit frustrating. Not entirely unexpected, but frustrating nonetheless. Song: Initially I’m a bit disappointed; I like AKB’s Christmas songs quite a bit (Yoyaku Shita Christmas is still the best, though) so I was hoping to hear another one! Disappointments aside, I definitely like Mosh & Dive! It’s a dance track with some good guitar in there, but it feels like a lighter song than something heavy like UZA. A lot of AKB’s “cool” songs (read: the rock-inspired, often dance focused tracks with a lot of guitar) tend to be heavier and darker. Stuff like UZA, Beginner and River are loud and intense. That’s not a terrible thing, but it’s not what I’m always in the mood for. Mosh & Dive goes for a lot lighter singing, an often poppier sound in the chorus, and it generally feels like a lighter cool song. The verses are not quite as good as the chorus, but they’re still pleasant enough. This is a type of song that I don’t know if I hear a lot of from idol music, but it’s one I’m glad to hear now. I’m not blown away, and I still kind of wish there was a Christmas song on this single, but I’m not disappointed in Mosh & Dive, itself. 8/10. What are you even wearing? The short outfits are fine, but those plastic coats? I usually avoid the mosh pit when I go to concerts, but I don’t think that’s what you wear there. Is it to avoid getting beer spilled on you? OK that’s actually a pretty legit excuse. 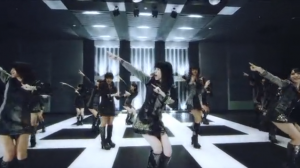 Questionable outfit choices aside, this is a decent, serviceable PV. All the girls are made up well, especially Minegishi Minami. 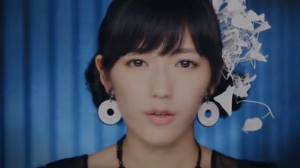 Something about Miichan’s short hair, that hat, and her makeup make her look fantastic. While the PV is just a collection of dance shots and close-ups, it’s shot well and lit well. I like how the lighting embraces color in this one, as well as in Kimi no Hohoemi wo Yume wo Miru. I also like that the PV is shot with a camera that’s moving. It would be easy to do the majority of this with a still camera, but this gives it a really excellent sense of movement. The only thing I was unsure of with this was the large words thrown on the screen, but I think it fits pretty well. Stylistically it matches the rest of the tone of the PV, and I like that it adds a little bit of flavor to an otherwise standard PV. Join me next week as I take a look at the AKB48, SKE48, NMB48 and HKT48 songs/PVs on this single!